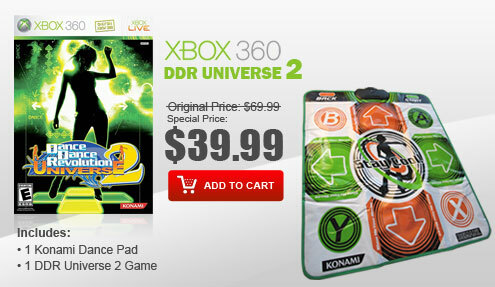 Welcome to ddrgame.com, we are the nation's leading distributor and seller for Dance Dance Revolution (DDR) pads and games. Our top priority is to provide the highest quality and best service to our retail, reseller, corporate, educational, and government clients. 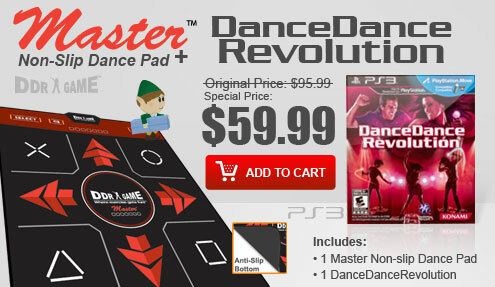 Dance Dance Revolution is an interactive game with a simple concept, high energy music, and fun-filled game play that gets users off the couch and provides a healthy, energetic, fitness workout. 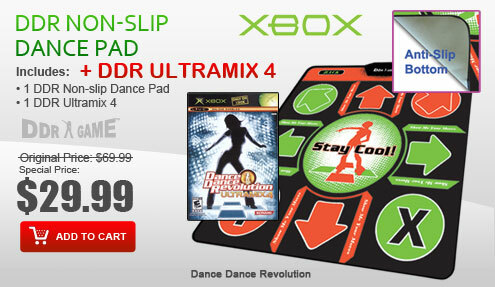 The premiere dancing game in which players move their body to upbeat tunes while allowing them room to exhibit their own innovative flare and original dance moves, DDR combines quick reflex action with pulsating dance music for intense 'get-up-and-play' fun. 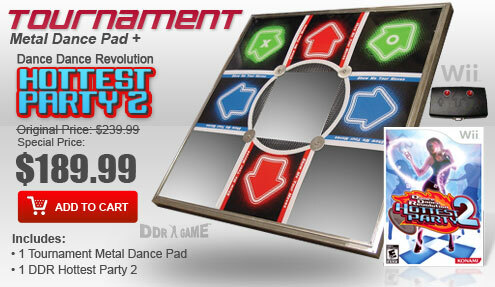 Players are challenged to match their dance steps with the flashing arrows on the screen while keeping up with the high-energy beat of the music. 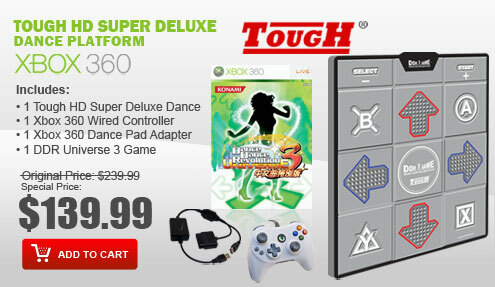 Check out the most popular games for Nintendo Wii, PS3, PS2,Xbox 360, Xbox and PC. 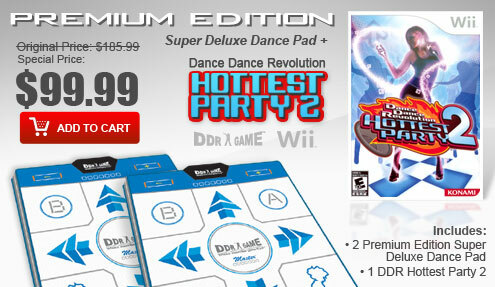 Available dance games for Nintendo Wii are DanceDanceRevolution, DDR Hottest Party 3, DDR Hottest Party 2 and DDR Hottest Party. 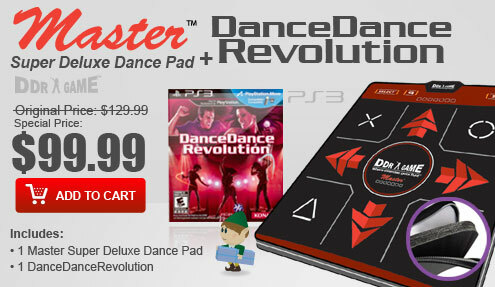 For PS3, available dance game is DanceDanceRevolution. 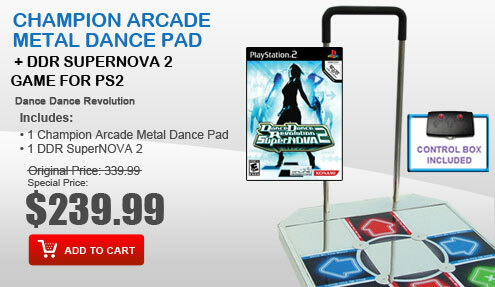 For PS2, available dance games are DDR X2, DDR X, DDR SuperNOVA 2, DDR SuperNOVA, DDR Disney Channel Edition, DDR Extreme 2, DDR Extreme, DDR Max 2, DDR Max, DDR Konamix, In The Groove, Flow: Urban Dance Uprising, Dancing with the Stars For Xbox 360, available dance games are DDR Universe 3, DDR Universe 2 and DDR Universe. 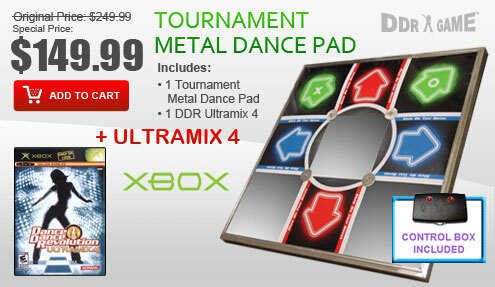 For Xbox, available dance games are DDR Ultramix 4 and DDR Ultramix 2. 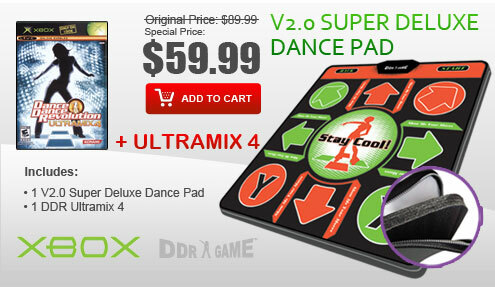 For PC, available dance games are Stepmania Complete, Dance Praise 2: the Remix and Dance Praise. 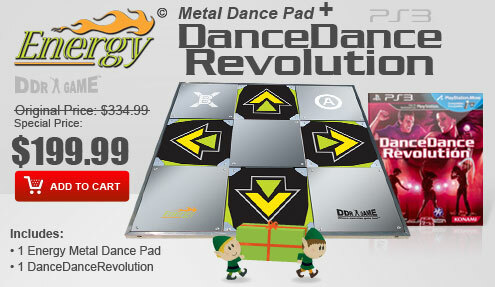 We are also the leading experts on Dance Dance Revolution dance pads such as the Tough Dance Platforms, Regular Dance Pads, Non-Slip Dance Pads, Energy Dance Pads, Master Dance Pads, Super Deluxe Dance Pads, Ultra Dual Super Deluxe Dance Pads, Metal Dance Pads, Arcade Metal Dance Pads, Tournament Metal Dance Pads, Champion Arcade Metal Dance Pads, Energy Metal Dance Pads, iON Metal Dance Pads, iON Pro Metal Dance Pads, and iON Master Arcade Metal Dance Pads. 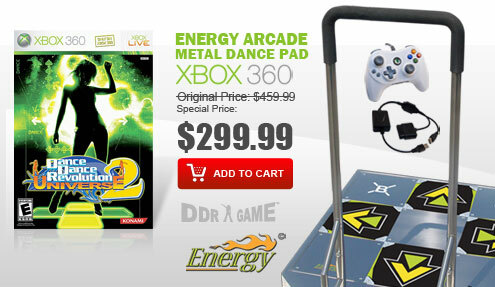 @ www.ddrgame.com, you can find our great selection and high-quality DDR products, we provide you the best shopping experience. 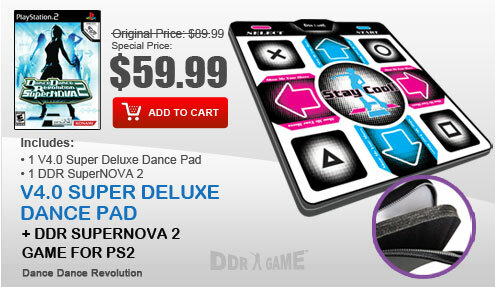 DDRgame.com is pleased to have you as our customer and we asked why should you purchase from us? 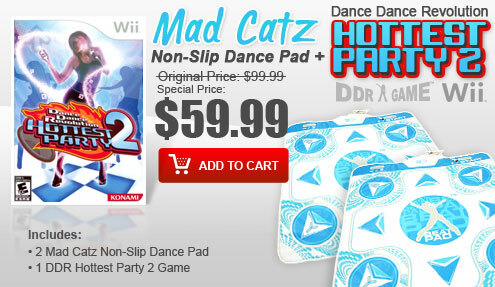 Our shipping department carefully inspects each package to avoid any damages to pad. We hope you will enjoy the shopping experience here. If you are a first time buyer, please check out DDR Buyer's Tips. Please review our customer feedback. -We welcome School and Government Agent P.O. -We are a member of the CCR and DNB. -For wholesale information please call or email us. To CANCEL or Change your order, please contact us by PHONE BEFORE 9:30 AM PST. We DO NOT cancel or modify orders via EMAIL OR INSTANT MESSAGING due to potential miscommunication errors.